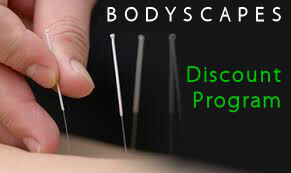 The best way to determine if your insurance policy provides acupuncture benefits is to call them. If your policy provides acupuncture benefits, Ellie will be more than happy to do a more detailed verification of your acupuncture benefits. Before a verification can be done, a consultation must first be scheduled. Full payment is due at the time of service. When your claim is submitted, services will be marked as paid in full and payment will be made directly to you from your insurance company. Before treatment can begin, your doctor must fax or mail your diagnosis code. This code is required in order to submit an insurance claim. This can be faxed to (773)672-7084. Complementary 30-minute massage with the purchase of a discounted program.